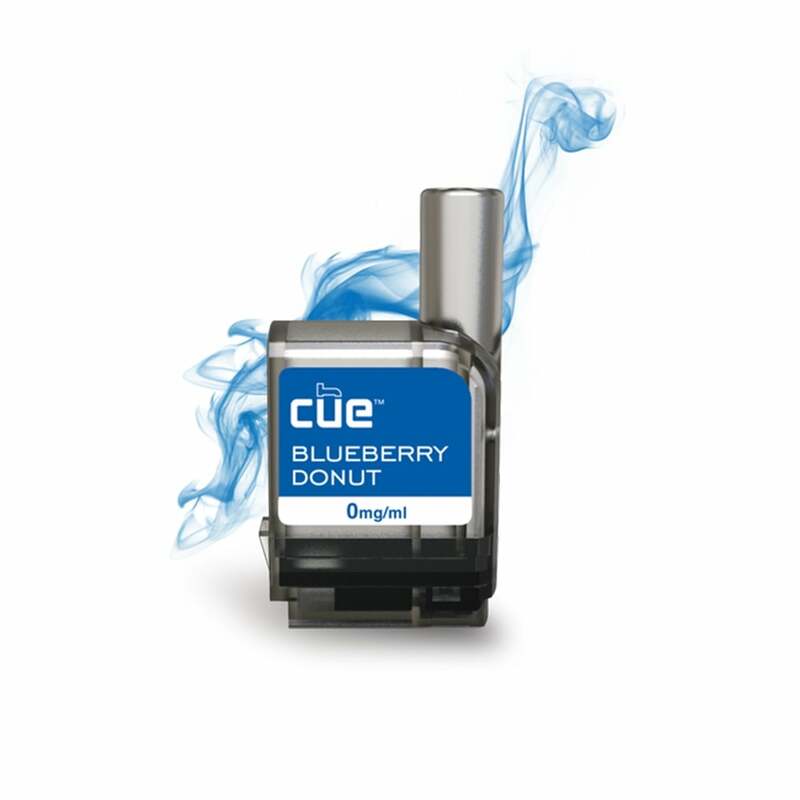 Blueberry Donut pods by Cue Vapor serve up freshly baked breakfast flavor with an infusion of juicy blueberry flavor. Fruit and donut flavors combine perfectly for a vape that's perfect at any time of day, whether you're looking for something to accompany your morning coffee or a treat after dinner. Cue pods come as individual pods. This is the best flavor by far it has the most flavor. I would say though to get 3mg nic cause I got 6 its a little overwhelming but the flavor is fantastic the best one over all! By far my favorite flavor, smooth. It's good, but I prefer menthol myself. Unbelievable how close to a blueberry donut this pod taste. Absolutely awesome. Love this blueberry donut flavor. I get 0mg nic. Wish they would keep it in stock all the time. That’s the only one I buy! I am part of a head injured program and most mail carriers know my name and I am part of this Milford program. Now since they know me small packages get delivered to the program office and then the office will call me and let me know they have some mail for me. Program called me on a Friday afternoon to let me know that they had mail for me. I didn't get to office until Monday and after picking up package I sat down to talk for a moment and when I left, I left without mail. The staff member there picked up my mail and made sure I got it on another day. When these refills are running low I will order more in whatever flavor I feel I need at that time. The Blueberry Donut flavor is the perfect combination of smooth and invigorating. The donut taste is definitely stronger than the blueberry taste. When I inhale, I taste an energizing blend of cinnamon, cake, and cream. When I exhale, there is a slight artificial blueberry aftertaste. This flavor is consistently delicious on every puff. I recommend choosing the 3mg option for a smoother experience. Very good! You will taste the blueberry! Smooth! Not a bad flavor. But I have other flavors I prefer over this one. One of my favorite flavors love the taste. First off, I am so happy I found this site! Super fast shipping, really easy to find what you need, and an incredible variety of product! I love the convenience of a cue cuz you can make big clouds like box mods but with the convenient pop in pods instead of tanks. This blueberry donut flavor is fantastic. Tastes like fresh delicious blueberries and a hint of cinnamon I love that haha adds to the donut flavor. The flavor didn't taste artificial and I'm praying they make this and the strawberry permanent cuz I really enjoy them. The melon one is nice too.